Over the course of this series, we will be attempting to address (with the help of videos) the many questions that often face new fans and potential newcomers to the sport. Short Oval Stadium Racing is one of the most misunderstood of all UK motor sports, often unfairly looked-down upon by the many fans of traditional circuit racing. Much of this attitude simply comes down to a lack of knowledge and experience about the subject. The common criticism leveled at Stadium Racing is “They’re just driving around in circles”, this statement implies that it therefor requires very little skill, or that’s it’s boring to watch. The truth actually couldn’t be more opposite. In the UK, the stadiums run one of two main types of track surface, either Shale or Tar. Each of these surfaces require very different skills and disciplines, with some drivers choosing to specialize in one surface over the other. Although like all motor sports, car setup is important, it does not make the huge differences to performance seen in traditional circuit racing, which in turn allows the drivers individual skill behind the wheel to shine. Those skills involve the ability to balance aggression & patience with their own car, and an almost psychic ability to read the track ahead, spotting the gaps in traffic before they appear, and avoiding track blockages (from spinning cars) before they happen. Unlike any form of traditional circuit racing, Stadium Racing allows for some incredibly close-up viewing of the action. Stadium Racing is just that, a dedicated structure with the Oval race track at the center of attention, with spectator areas, be it a Grandstand, Terracing or Raised Banking, built right onto the edge of the track and encircling the entire arena. A modern day Colosseum of Motorsport where fans turn up to cheer on their favorite Chariot Racers as they battle for the honor of Victory. The intimate nature of the stadium creates an atmosphere akin to one more expected of a Football match than of Motor Sport, as fans stand shoulder to shoulder screaming and cheering out their support or hanging their face in their hands when it all goes wrong. The benefits of the Stadium become clear when you get the chance to watch battles between drivers wherever they are on track, the complete unobstructed view allows you to witness the battle for it’s entirety, even it it lasts for several laps. The Kings of the Oval, and undoubtedly British Motorsports best kept secret are the BriSCA F1 Stockcars. These Goliaths of stadium racing are purpose built open wheeled professional racing cars. Powered by race tuned UNLIMITED American V8 engines, with averages of 650bhp, professional racing tyres, and a space-frame constructed chassis designed with the heavy knocks of Full Contact racing in mind. As 30 or more of these beasts take to the track, you will definitely know about it. You won’t just hear it, you’ll feel it, as the ground begins to shake, and your chest vibrates the very air in your lungs. It’s an experience unmatched by any other circuit motorsport in the UK today. 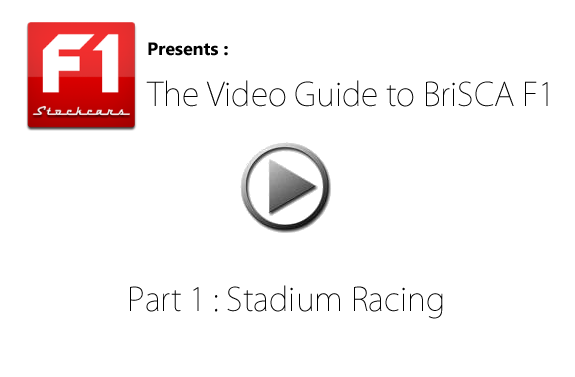 No video can truly capture what it is like to see, hear, and feel, the spectacle of watching BriSCA F1 Stockcar Racing live, but the attached video does a good job of portraying just how close to the action stadium racing allows you to get. Sit back, crank up the volume, and enjoy. Vote for your Stox Personality of the Year now! Nominee #3 for Stox Personality of the Year! Our second nominee is Nigel Harrhy. This is Nige’s third nomination for F1Stockcars.com Personality of the Year! Introducing the 2018 F1Stockcars.com Stox Personality of the Year award and the first nominee, Conrad Wilson.